December 22 stars the end of Fate/Grand Order Part 1! More character designs from Fate/Grand Order ‐First Order- are inbound. Fate/Grand Order ‐First Order- is not the #1 spot but it is fairly high up on the list of series that people are eager for in Winter 2017. The Tamamo-no-Mae Nendoroid is truly fearsome. Fate/Extella comes out on the 17th Of January in North America. Archimedes and Artoria Pendragon get the final two English character trailers for Fate/Extella. The Silver Link table at Comic Market will have lots of Fate/Kaleid Liner Prisma Illya goods. Arco Wada will also have an art book at Comic Market with an adorable Brave Liz toy. 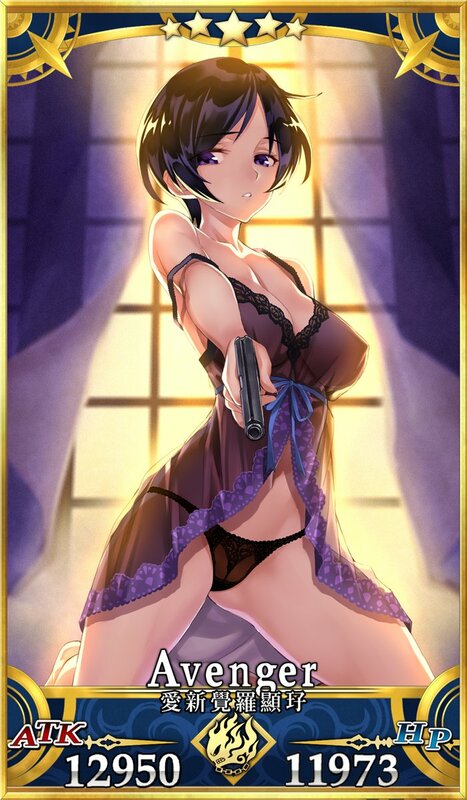 The Lycèe Trading Card Game is adding Fate/Grand Order cards. The staff that worked on the opening of the Babylonia chapter have some comments. I wish I has been able to ask Rei Hiroe about Quetzalcoatl when he was at AnimeNEXT. The Tower Records Cafe is going all out with the hot men of Fate/Extella. There is an AR app for Fate/Grand Order for an event happening in the real life winter Leonardo da Vinci event. Some more information about the items they will be selling at the winter Leonardo da Vinci event. How many Servants do you have in Fate/Grand Order? The cover for Melty Blood Nightmare volume 2.
Who is the Servant in the Negligee? She already has some very official looking art. SHAFT did the animation on the commercial for the Fate/Extella and Logres of Swords and Sorcery crossover event. There is a Fate/Grand Order theme for LINE. So some Servants warm themselves with a Kotatsu. You can now get an Enkidu wall scroll and Comiket 91. This fan art shows there were some good events in 2016. Goodbye Money: The RightStuf 2016 Sale!